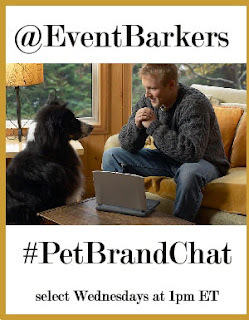 The Event Barkers team is getting very excited about our first #PetBrandChat tomorrow. Our guest, @Rallyin, will be joining us to answer your questions and dish details on their plans for this unique lifestyle site where you can look up product reviews, demos, comparisons and more. Tomorrow's chat begins at 1 PM ET, so don't forget your brown bag lunch, or just stop by Starbucks and grab a latte. Get me one too! Following are a few tips on using other venues to enjoy the chat. Feel free to ask any questions in the comment section and I'll do my best to get them answered. In the popup box click the "Search" tab and enter the event hashtag, #PetBrandChat, in the box. Hootsuite will create a stream for your hashtag and place it at the far right. You can move it anywhere you prefer simply by grabbing it with your cursor at the top section and dragging the column left for right. Visit Tweetchat.com and enter your hashtag in the box at the top center. Hit enter and the chat stream will appear almost immediately. If you merely wish to watch, you can view from here without participating. Adjust your preferred Refresh Speed by clicking on the appropriate button and using the slider for setting. You can change this throughout the event as needed. "User Controls" allows you to feature specific users or block those you prefer not to see. You can even opt out of RTs if you prefer not to see them. "Pause" is pretty obvious and very convenient if you're determined to read the entire event's Tweets. Now that you know how to use TweetChat, here's a link to put you there in a heartbeat, ready to view #PetBrandChat. Now you've got a private room at the event to enjoy the conversation in. Insert this link into a url line. Login by allowing the app to use Twitter. This is a basic #PetBrandChat event setup for our event with @Rallyin. You need to enter your own handle in the right-hand column and click search to complete the layout. The format gives you a complete event Tweet feed in the left column, and a host/moderator feed in the center column. Dogtipper.com, WoofWoofMama.com, 5MinutesforFido.com and our site all look forward to seeing your tomorrow. Don't forget to stop by Rallyin.com to check it out first, and be sure to come armed with your questions. Our friends @Rallyin will be eager to answer them. Before I go, I have to alert you to Oliver's more basic Twitter Training over at 5 Minutes for Fido. Bring your sense of humor, or at least a tomato. Let us know what you think about all these Twitter venues after the chat. Just leave a comment below. Which method do you prefer? Why?